This is the homepage for The Ring of Faeries and Elves. Any announcements or information concerning the The Ring of Faeries and Elves will be posted on this site. Please bookmark this page and check back from time to time to see if there is anything of interest to you. Also if there are problems with the ring check back here to see the status of the ring. You MUST have a webpage!!! Please do not use the graphic at the top of the page. It is for this Ring of Faeries and Elves Homepage only! Fill out this form and submit your site. Register for The Ring of Faeries and Elves Database. Fill out ALL areas of this form. Leave NO blanks. If you do not have a URL (address for a home page), please come back later and submit. 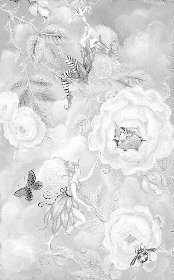 Once you submit this form you will recieve an e-mail confirming your page has been added to The Ring of Faeries and Elves database along with the html code (already edited to your site) which you must place on your page. If you DO NOT recieve an e-mail, the code and graphics are also below. Bookmark this page!! You are not yet part of the ring!! Once you've submitted the form and recieve the fragment, please place it on your page, generally within 24 hours of signing up. I will check out your page and see if you meet the criteria and if you do you will be added to the ring! If the fragment is not there within a week, you will be deleted from the queue and must reapply to join. You must also save the two ring .gifs and upload them to your server in the same directory as your page...the graphics are included in the fragment BUT it is best that you save them and upload them to YOUR server...If I lose my graphics or my server is slow or down you will lose yours also. so that the id= is followed by your site id number. When you have the ring code up,E-mail me You will recieve an e-mail soon after telling you you've been added to the ring! This The Ring of Faeries and Elves site is owned by Melynda. This The Ring of Faeries and Elves site is owned by YOUR_NAME. using the same directions as stated above. If you have ANY problems, don't hesitate to ask me! I am always willing to help you out! !